Our Transformer Adapter For RO Water Purifier is the most trusted adapter since 1995 by our reputed customers. we use special enameled copper wire and c.r.n.o core in our transformer to maintain quality over last 20 years. the these adapter is free from mains fluctuations, surges, spikes and moister. Very Low no-load power consumption. Capacity to withstand starting a high inductive load of R.O booster pump. Protections against- mains voltage fluctuations, surges, spikes. Isolation up to 3kv for 5sec.time period. Designed to meet safety requirement. No effect from environment condition like moister and humidity. 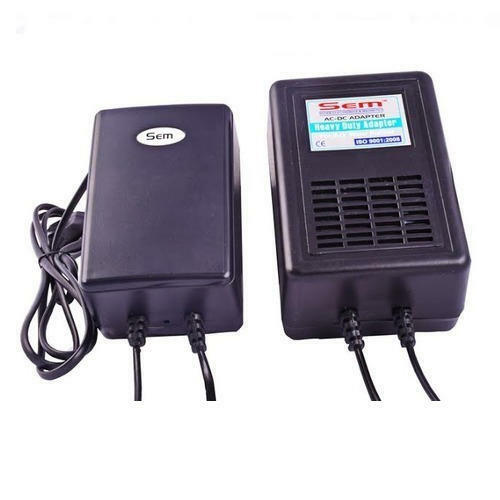 Incorporated in the year 1996 at New Delhi (India), we, “Shyam Electronics & Magnetics,” are one of the leading Manufacturer and Wholesaler of a superior quality range of AC-DC Adapter, S.M.P.S Battery Charger, DC-DC Converter and much more. As we are known for our consistent quality standards, so we manufacture these products using high-quality raw material and latest technology. These products are highly appreciated among clients due to their superior performance, precise fabrication, reliability and longer service life. Further, these products are available in various specifications as per the specific needs of our clients. Our products are extensively demanded in various electronic companies for different types of equipment.